Mary Estime-Irvin is the President and Chief Executive Officer of Estime & Irvin Associates. Under Mary’s leadership, Estime & Irvin Associates has become a leading recruitment and staffing agency in South Florida by offering superior services to help meet business personnel temporary or permanent needs. Prior to founding Estime & Irvin Associates, Mary has worked in various leadership roles with businesses and political campaigns. Mary is a native of New York City. In the late 1980’s, her parents relocated to the North Miami surrounding area. She attended North Miami Senior High School and Greater Miami Academy. She studied Management and International Business at Florida International University. 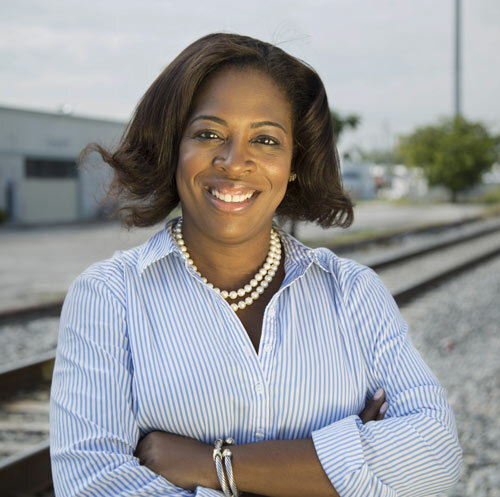 Mary is a member of the American Staffing Association, North Miami Chamber of Commerce, Haitian-American Chambers of Commerce and Miami-Dade Chamber of Commerce. Mary serves on various community boards including North Miami Police Athletic League, North Miami Community Redevelopment Agency, North Miami Personnel Board North Miami Business Development Board, North Miami Board of Adjustment, North Miami Senior Foundation and North Miami Educational Foundation. She also served on the North Miami Code Enforcement Board. Mary is known for her work to promote community interests. Her dedication and leadership in various sectors including education, minority businesses, and neighborhood safety have earned much recognition from community leaders and residents. As a resident of District 3 and a minority business owner, Mary understands the urgent need to create jobs and business opportunities in our community. She is committed to improving the safety of our neighborhoods and advancing the quality of life throughout Miami-Dade County in particular. Her experience and leadership with different businesses and community organizations have provided her with the tools to be effective. Mary is a fan of traveling and reading books. She is also a proud mother of her son named Patrick Irvin, Jr.